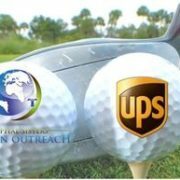 Hospital Sisters Mission Outreach is partnering with United Parcel Service (UPS) for a 2016 Charity Golf Outing. All proceeds will be donated to Mission Outreach! Click here to access the registration and sponsorship form. Contact Suzanne McLean, Development & Relationship Manager at Hospital Sisters Mission Outreach, by email at smclean@mission-outreach.org or by phone at 217-525-8843 x 181. Click here to access the event flyer. As global organizations, HSMO and UPS have the ability to change the world. The UPS Neighbor to Neighbor program allows UPS employees to assess needs at a local level and assist one organization at a time through volunteer activities. This year, UPS Feeder Dispatch Supervisor Corey Wemple in Decatur, IL has chosen Mission Outreach as the benefitting charity! Are your grips slippery or showing signs of wear? 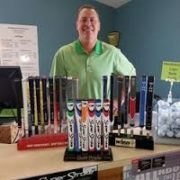 See Jason at Lakeshore to have your clubs regripped. Plenty of grip options to choose from. https://golflakeshore.com/wp-content/uploads/2016/07/Club-regripping.jpg 200 200 Lakeshore Golf Course https://golflakeshore.com/wp-content/uploads/2016/03/logo.png Lakeshore Golf Course2016-07-15 16:22:372016-07-15 16:23:10Club Regripping at Lakeshore! It’s another great day at Lakeshore! 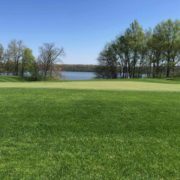 https://golflakeshore.com/wp-content/uploads/2013/03/Lakeshore-GC.jpg 1200 1600 Lakeshore Golf Course https://golflakeshore.com/wp-content/uploads/2016/03/logo.png Lakeshore Golf Course2016-07-05 14:59:262016-07-05 15:01:20It's another great day at Lakeshore! We Carry Most Major Golf Brands! 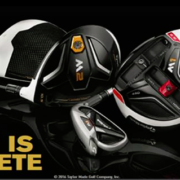 Did you know we carry most major golf brands? Keep your business local. Give us a shot to beat any price on golf equipment! https://golflakeshore.com/wp-content/uploads/2016/06/T-Made-Image.png 319 680 Lakeshore Golf Course https://golflakeshore.com/wp-content/uploads/2016/03/logo.png Lakeshore Golf Course2016-06-23 14:37:302016-06-23 14:38:45We Carry Most Major Golf Brands! 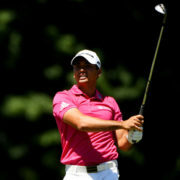 OAKMONT, Pa. – Jason Day feels the pressure mounting as Thursday’s start of the U.S. Open nears. He feels it in ways he has never felt before. If you’re thinking maybe the weight of it all is starting to get to Day, that maybe you ought to cross him off your list of favorites this week, think again. Day, 28, says he loves this feeling. “I feel like I thrive under stress,” Day said. If that’s the case, Oakmont Country Club couldn’t fit Day better. Competing at a U.S. Open on Oakmont should come with a surgeon general’s warning: “Playing here may cause high blood pressure.” No major championship test is more grueling from tee to green. Day says that because he has come to know Oakmont better than most players. His agent, Bud Martin, is a member of the club. Day first played Oakmont when he was 18. Though Day may have broken through to win his first major in the PGA Championship at Whistling Straits last year, he believes his game is more suited to a U.S. Open than any other major. “I think it sets up best for this because I hit it high,” Day said. “Usually, the course is running very firm. Usually the greens are firm and fast. I feel like I’ve got good touch around the greens. In 2011, Day finished second at the U.S. Open at Congressional. In ’13, he tied for second at the U.S. Open at Merion. He has played in five U.S. Opens and finished top 10 in four of them. You should be getting the idea by now that Day is in a good place mentally. He may be battling a cold this week, but his attitude is as healthy as it has ever been. He knows he needs that with all the negative energy that swirls around U.S. Opens, where dread and doom are twin demons waiting to pounce. “The first time I saw the commercial, especially at the end, when he says,’I love you, daddy,’ I just started crying,” Day said. Day and his wife, Ellie, also have a seven-month-old daughter, Lucy. Day was asked what he thinks is separating himself from other pros. He struggled to answer it, but when he did, his answer was more about his attitude than his skill set. https://golflakeshore.com/wp-content/uploads/2016/05/download-5.jpg 225 225 Lakeshore Golf Course https://golflakeshore.com/wp-content/uploads/2016/03/logo.png Lakeshore Golf Course2016-05-28 12:09:122016-05-28 12:09:54Happy Memorial Day Weekend! 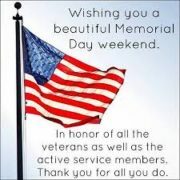 It’s going to be a beautiful weekend!! You now have the ability to book a tee time online for Lakeshore Golf Course! 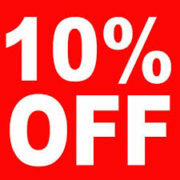 To book your tee-time on-line go to our website golflakeshore.com. OR give us a call at (217) 824-5521. PONTE VEDRA BEACH, Fla. – Apparently Rickie Fowler isn’t the only player who has solved the back nine at TPC Sawgrass Golf Course. Shane Lowry made the turn in even par Thursday before lighting up the Stadium Course’s inward half, coming home in 7-under 29. That gave him an opening round of 65 at The Players Championship and put him two shots behind the early pace set by world No. 1 Jason Day. It also marked a tournament record for back-nine scoring, a feat that surprised even the Irishman given the self-described “melt down” he suffered during practice the day prior. 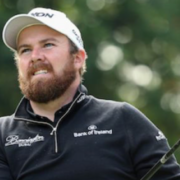 Lowry received a tip from Graeme McDowell that began paying immediate dividends, and he showed no signs of inner turmoil during a blistering close to his round. Lowry played Nos. 10-13 in 5 under, highlighted by an eagle on the par-5 11th, then curled in a 13-foot birdie putt on No. 18 to close his round. Lowry earned his maiden PGA Tour title last year at the WGC-Bridgestone Invitational, but it remains to be seen if he’ll return to Akron to defend. The tournament this year is opposite the European Tour’s Open de France, and only the latter event will offer Ryder Cup points for European players. Several notable Europeans, including Rory McIlroy, have already declared that they’ll tee it up in Paris, but Lowry said he hasn’t yet made up his mind.